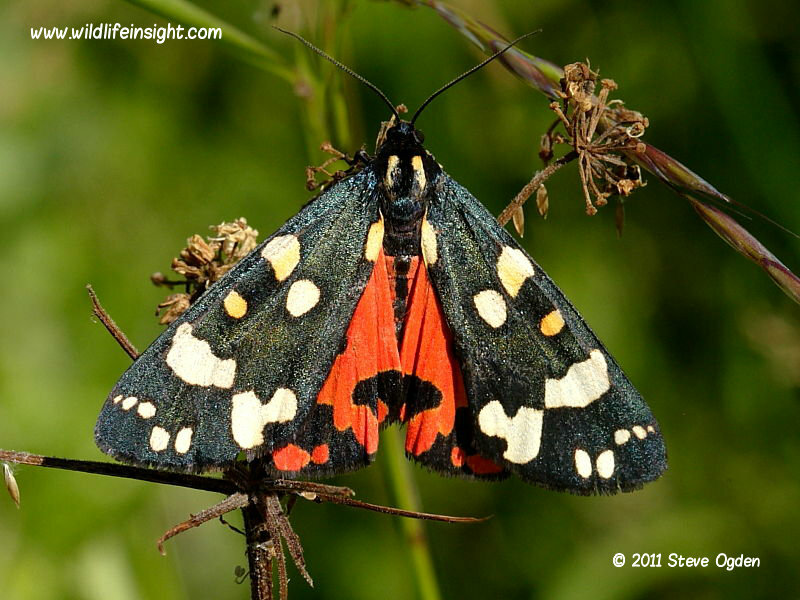 The Scarlet Tiger is locally distributed throughout the south and west of England and Wales where it is most common in damp wetland areas and coastal sites. 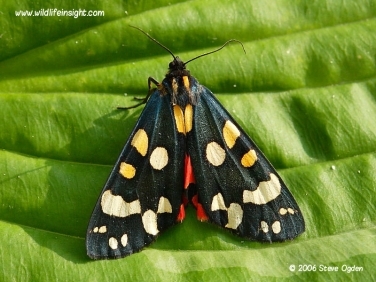 The moths fly during the day in a single generation in June and July but are also attracted to light in small numbers. Numbers fluctuate annually with exceptionally high counts in some years when it is not uncommon to see several at a time flying in sunshine. 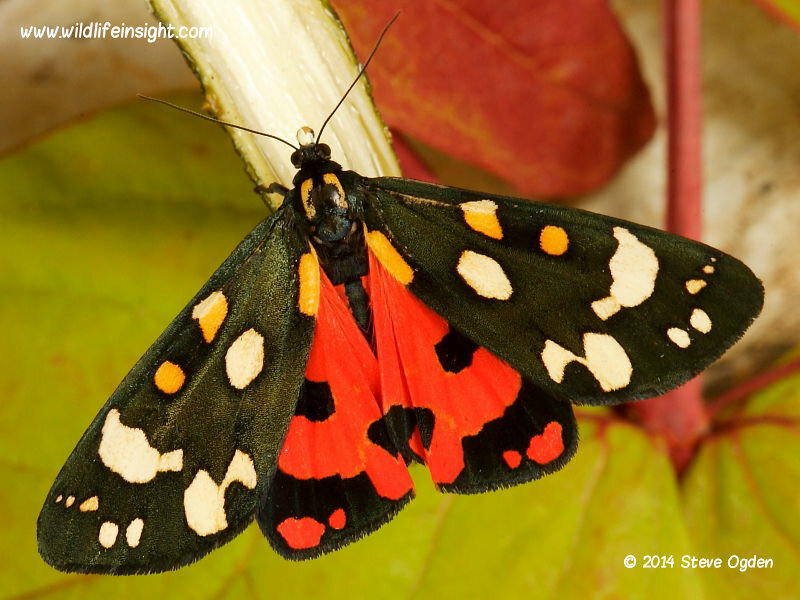 Scarlet Tiger moths have a wing span of about 50 mm and can be identified in flight by the bold red underwings. When at rest, with wings closed, the dark forewings with white and yellow spots have a greenish sheen in sunlight. 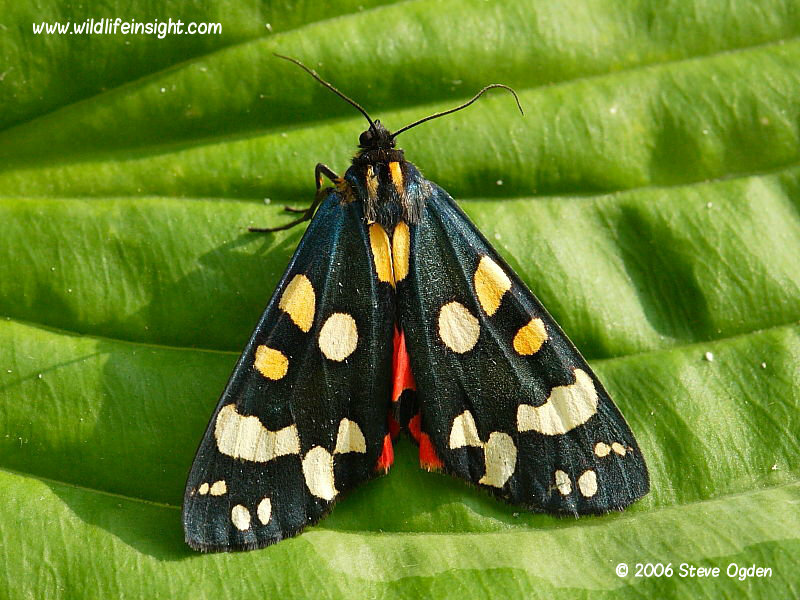 Variations can occur with the form rossica having yellow underwings with black patches. Other similar sized Tiger moths in the British Isles include the Garden Tiger, Cream-spot Tiger Moth and the recent colonist The Jersey Tiger. 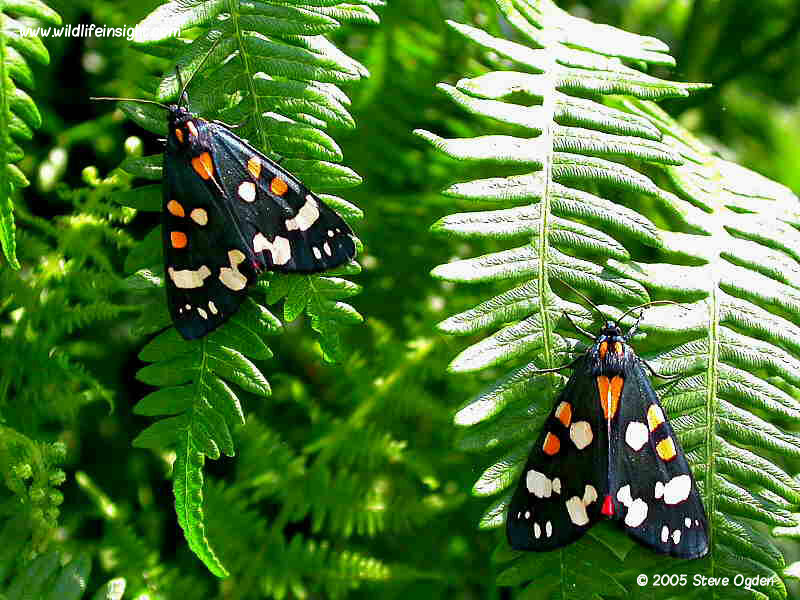 Adults emerge in June and July when both males and females fly during the day in sunshine. The females lay eggs on a variety of food plants but appear to favour comfrey and nettles. 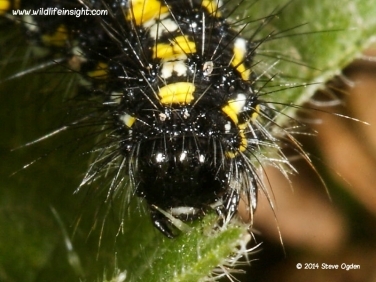 The eggs hatch in about 7 days with the caterpillars over wintering when about 15mm long. From March till May the caterpillars are conspicuous in the daytime either feeding or resting in the sun on the food plant . As they become larger some may disperse and may be found feeding on other nearby plants including bramble. By the end of June the caterpillars are about 45 mm and fully grown when pupation takes place in a cocoon spun amongst plants or leaf litter. The moths emerge within about a month depending on temperature. 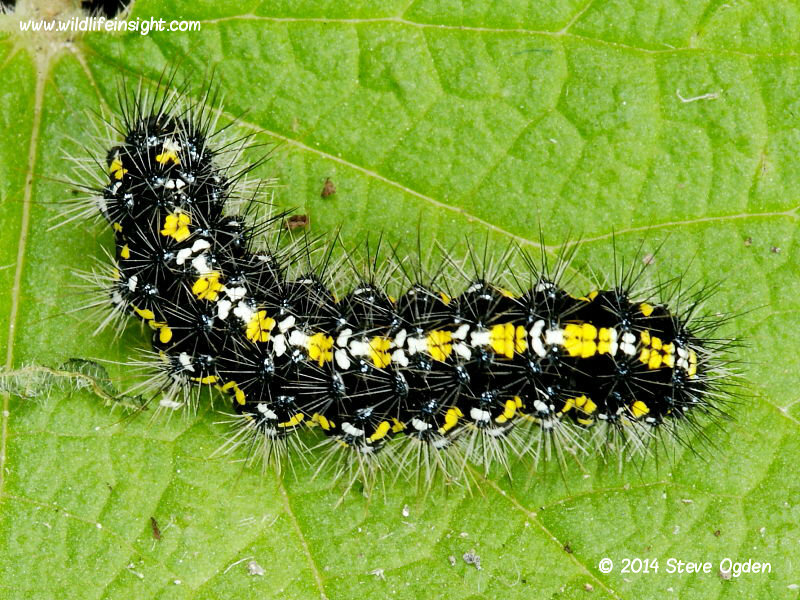 The caterpillars are easily found during the day on the larval foodplant. 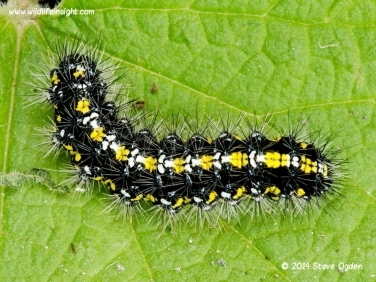 They are easily reared on potted nettle with the caterpillars forming a cocoon in leaf/plant litter.